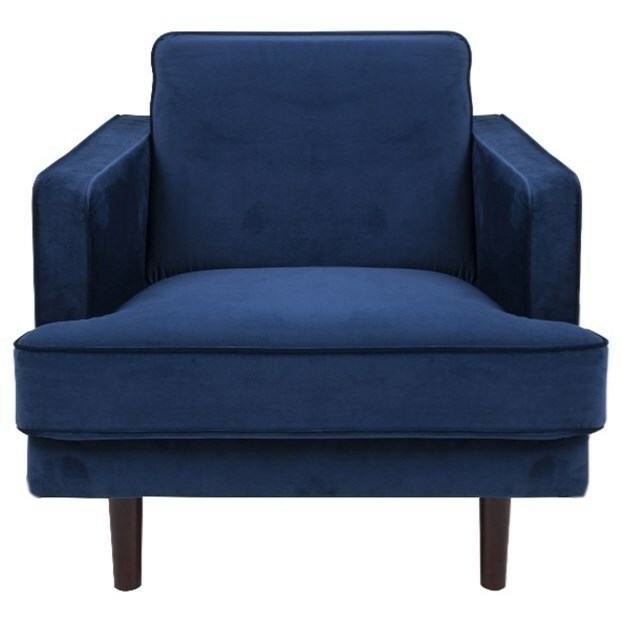 Bring the sophisticated, tailored look of mid-century modern style to your living room with this accent chair. The tapered legs and track arms create a clean and modern silhouette, while the classic t-style seat cushion gives it a timeless allure. The Bliss Chair by Actona Company at Red Knot in the Oahu, Honolulu, Kapolei, Pearlridge, Salt Lake, Hawaii area. Product availability may vary. Contact us for the most current availability on this product.